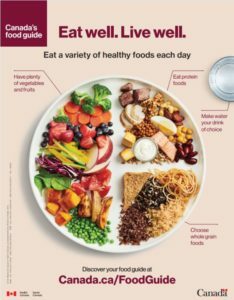 Canada's new food guide does away with portion sizes, the four food groups, and some outdated information. You can download the guide and other resources by clicking the image. 2019 is truly a year full of changes! The buzzworthy topic this week is one we hold near and dear to us – the revamped Canada Food Guide! Although it is vague (the portioning section is being released later this year) it has evolved to reflect how today’s generation’s eating habits need to change so we stay on track for a healthier future! The first main change you will see is the absence of the four food groups replaced with the suggestion to eat plenty of vegetables and fruits, choose whole grains, and eat “protein foods.” The guide has also adjusted to place an emphasis on plant-based proteins, remove juice as a recommended drink (it suggests water as your drink of choice), and to cook more often and dine with others. The Kidco Kitchen is proud to say our menus are and have consistently been ahead of the curve in surpassing the expectations of the Canada Food Guide, even with this new wave of guidelines. We know the importance of eating healthy, eating together and being educated about your food; we have continued to offer this throughout your child’s day at Kids & Company. The Kidco Kitchen is founded on a fresh, from-scratch philosophy, building children with healthy bodies and minds. Our food contains no additives, preservatives, artificial flavours or colours! We are proud to serve a range of ethnically diverse foods, with a variety of flavours, textures and colours, to help children expand their palette and food choices at a young age. The Kidco Kitchen provides our childcares with made from scratch hot lunches, yummy snacks, milk, fresh fruit and vegetables daily. Our menu changes with each season so that we can promote and benefit from the local produce that each new season brings. We understand the importance and complexities of your little one’s allergies and intolerances and ensure that they receive a substitution of equal nutritional value! Your children’s safety is of the upmost importance to us and we have created an environment to reduce any allergen exposure. Currently, we serve one vegetarian dish to all the children each week, with available vegetarian alternatives offered daily. 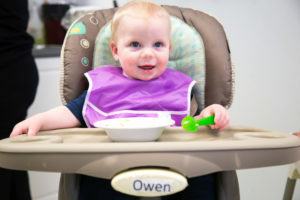 Parents have the option to choose which type of protein they want their children to have while in our care. Each season’s Kidco Kitchen menu offers 3-4 servings of fruits and/or vegetables throughout the day, with conscious menu planning that includes having at least one green and one orange fruit/vegetable each day. From its inception, the Kidco Kitchen has always chosen whole grain products to serve to our kiddies, from cereals to breads to rice! Kids & Company agrees that the best drink is the simplest of them all – water! To ensure our kiddies get the most out of their liquid intake, we always have water and milk available to quench their thirst and keep them hydrated! 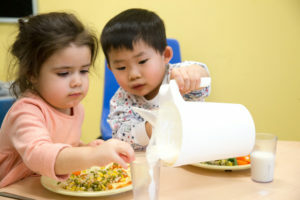 The Kidco Kitchen promotes the family style dining philosophy which improves children’s fine motor skills, promotes pride in the food they are eating, and encourages sharing healthy, nutritious meals together. It encourages healthy habits such as sitting down and eating together to enhance the entire food experience! The current portioning guides we have in place are used to prompt mindful eating (i.e. knowing when you are full). 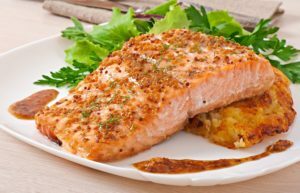 Even our blogs and online recipes encourage families to cook and eat together! With a healthy nutrition curriculum in place, our kiddies learn about where food comes from, what it does for their bodies as well as the different tastes and textures that each food brings! We will be talking about the new food guide and what healthy food does for our bodies and mind. Further to this, look forward to a more plant-based focus in the Spring! We are excited to introduce new, more frequent vegetarian offerings to save the planet thousands of meals at a time - sustainability initiatives here we come! Kids & Company children are trailblazers already on their way to becoming lifelong healthy eaters! We are delighted and excited for 2019 to keep our kiddies eating healthy, whole foods everyday!